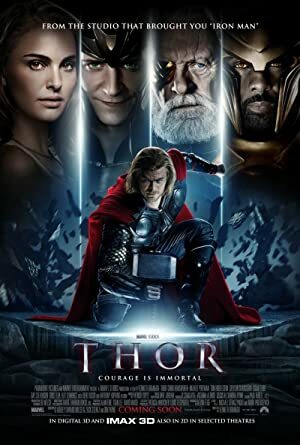 Thor (2011) – What's New on Netflix Canada Today! The warrior Thor (Hemsworth) is cast out of the fantastic realm of Asgard by his father Odin (Hopkins) for his arrogance and sent to Earth to live among humans. Falling in love with scientist Jane Foster (Portman) teaches Thor much-needed lessons, and his new-found strength comes into play as a villain from his homeland sends dark forces toward Earth. Powerful thunder god Thor is stripped of his power and banished by his father, Odin, forced to live among humans on Earth to learn humility.